Kathy M. Newman is Associate Professor of English at Carnegie Mellon University. 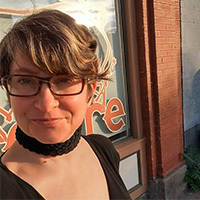 Her upcoming book, Striking Images: Labor on Screen and in the Streets in the 1950s, combines cultural analysis with labor history. The actress Felicity Huffman—along with 13 other parents charged in the college admissions scandal—entered plea deals last week, putting pressure on actress Lori Laughlin and her husband, designer Mossimo Giannulli, to do the same. Prosecutors are hinting that if Laughlin doesn’t accept a deal she could face 20 years in prison, 3 years of probation, and a $250,000 fine. 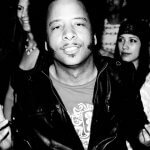 If you haven’t seen Sorry to Bother You yet, please stop reading this and find somewhere in your town that is still playing the film. SEE IT NOW. 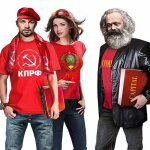 Several months ago the Communist party in Russia updated their visual propaganda by giving three of their most controversial icons—Lenin, Stalin, and Karl Marx—a makeover.